In July of 1938, representatives of 32 nations were summoned to Evian France at the call of President Franklin Roosevelt to try to find a solution to the Jewish refugee problem - a crisis precipitated by the increasingly draconian and violent persecution of Jews in Germany and Austria. The conference, which began with high hopes and high-minded rhetoric, was to end in abject failure. The assembled nations refused to open their hearts and their shores to the persecuted Jews of Europe and their abdication of moral responsibility was taken by Hitler as a green light to move forward with his genocidal "final solution". In July of this year, a symposium was convened in the same Hotel Royale where the 1938 gathering was held. The purpose of this event was to consider the lessons and warnings of The Evian Conference on its 80th anniversary. Dr. Katrina Lantos Swett, President of the Lantos Foundation and host of our podcast, was invited to give the keynote address for the symposium. Her insights and analysis are informed not only by her years of leadership and activism within the human rights community, but also by the lessons she learned as the daughter of Hungarian Holocaust survivors. We are happy to share Dr. Lantos Swett's remarks with you. What does it mean to be a mother? The word brings to mind ideas of love, sacrifice, devotion, and a determination never to give up on one’s children. It is both an immense responsibility and a privilege to be a mother. So, what does it mean to be a mother of a whole people? Our guest, Mrs. Rebiya Kadeer, is known as the “mother of the Uyghur nation”. She is the acknowledged global leader of the Uyghur people - a community of over 15 million living primarily in the East Turkestan region of China where this largely Muslim community has been subjected to discrimination, persecution, mass incarceration and cultural and religious oppression at the hands of the Chinese government. One woman has stood in defiance of the Communist party’s attempt to undermine the Uyghur nation. Rebiya Kadeer, a self-made woman who through her own ingenuity and drive became one of the wealthiest women in China, put her life, her fortune, and her sacred honor on the line when she chose to defy the Chinese authorities and challenge their treatment of the Uyghurs in East Turkestan. 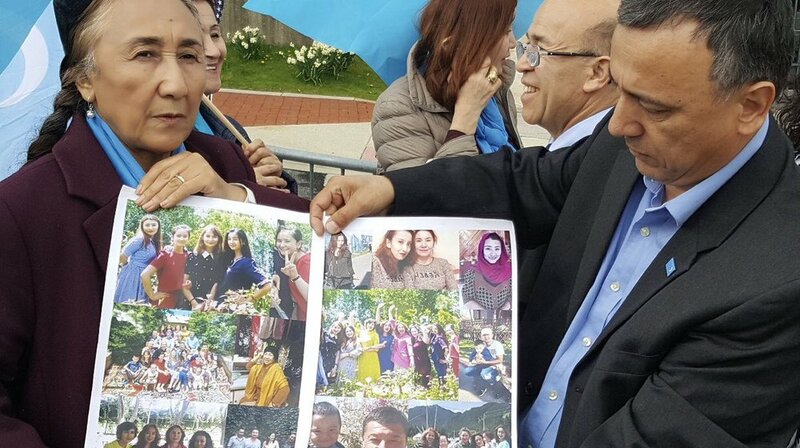 She was imprisoned for many years and since her release, she has led her people from exile as she fights to bring the world’s attention to the grave injustices being perpetrated in her home. Recently, Katrina sat down to speak with Mr. Jared Genser and Dr. Yang Jianli. Jared is the founder of Freedom Now, an independent nongovernmental organization that works to free prisoners of conscience around the world. He is often referred to in the media as "the extractor" for his work as a leading human rights lawyer on behalf of prisoners of conscience. Dr. Yang Jianli, founder of Initiatives for China, is a Chinese dissident who was detained and imprisoned by the Chinese government in the early 2000's for his activism. Katrina spoke with these two extraordinary men about how they came to be human rights activists, the shameful death of Nobel laureate Liu Xiaobo in Chinese custody, the Chinese governments moral bankruptcy, the underlying political weakness that the regime is desperate to hide, and a bold prediction from Jianli regarding the Chinese regime's inevitable end.